Time is a artfully complex new reggae/dance track from DeepJahi. 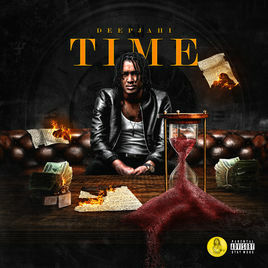 The word “time” is actually an appropriate title for this song as DeepJahi showcases an incredible knack for musical timing. He delivers the lyrics with such precision (within a complex framwework) that one is immediately impressed. It helps that he combines this skill with actual singing ability as well. His voice is all around easy on the ears. Time manages to blend elements of both reggae and synth to creating a satisfying ambiance. The production on this track is excellent. From an audiophile perspective, sonically it’s one of the best produced reggae tracks I’ve ever heard. This song is smooth and crisp all the way around.